Comet 209139A. Comet Industries 40/44 Series Driven Clutch. 7”/8” Bore, G4400. Comet/American Sportworks-ASW/MANCO Part 209139-A. 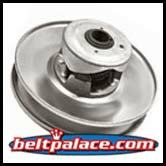 Home > COMET INDUSTRIES BELTS > COMET 203787 (A-DF), Comet Industries replacement belt. > Comet 209139A. Comet Industries 40/44 Series Driven Clutch. 7”/8” Bore. Comet 209139A. Comet Industries 40/44 Series Driven Clutch. 7”/8” Bore, 7-1/2” Diameter. ASW 2-20668. Comet 209139A. Comet Industries 40/44 Series Driven Clutch. 7”/8” Bore. 7-1/2” Diameter. Comet/American Sportworks-ASW/MANCO Part 209139-A. 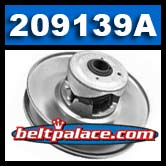 209139-A MANCO-Comet Industries 40/44 Series Sencondary Clutch. American Sportworks (D - TC-DRIVEN 40C (209139C)-265), ASW 2-20668 CVT Clutch. COMET DRIVEN G4 7/8" BORE SYMMETRIC - PART G4400. Comet 40/44 Series Driven: 7.5” Diameter, 7/8” Bore, 3/16” KEY, for Go Karts, Golf Cars, Mini-Bikes, Snowmobiles, UTV’s. ONLY TWO LEFT IN STOCK: ORDER NOW!